A Whisper of Thoughts...: Liebster award? 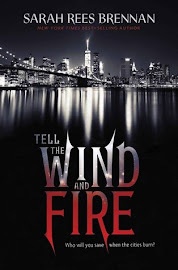 As you have probably guessed I love to read and particularly like to promote new authors with their releases. 1). What was your favourite book of 2012? 2). What book(s) are you most looking forward to in 2013? Although the paperback version of Splintered has technically been released, I am really looking forward to the release of the Kindle version. I loved Alice in Wonderland and I have heard so much about this book I really cannot wait to read it. 3). Who would be your ultimate book boyfriend? Damon Salvatore from Vampire Diaries! 4). What made you want to start a blog? I realised that writing reviews of books I had read really helped an author and it just escalated from there! I also joined an amazing group on facebook that promotes indie authors, and since then the blogs posts have continued. 5). What types of books do you love to read? Paranormal fiction, a leeetle bit of paranormal romance, YA fiction and fantasy. 7). What is your favourite TV series? My kindle as it has all my books on it. Although eventually I guess I would need some form of electricity to charge it up. When are they inventing solar charging kindles?!! Chocolate because I need some sort of sustenance right? A blanket because I get cold too quickly. 9). 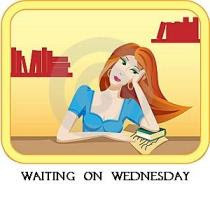 If you could meet any author who would it be and why? Ideally it would have been Roald Dahl because he is such a different character, and sounds so interesting. Plus, he has written some of the most awesome books ever. 10). What book do you think has the best book cover ever? 11). where is your favourite place to read? Anywhere warm and cozy with a mug of hot chocolate will do! 1. Are you a writer or a reader, or both? 4. Something you have always wanted to do but haven't had a chance yet? 7. If you could have any superpower what would it be? 8. Spring, Summer, Autumn or Winter? 9. Do you believe in the supernatural? 11. State the first quote that comes to your mind? Thank you so much Zed for the nomination! And congrats on your award, as well! 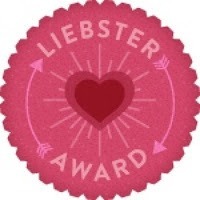 Thanks to Zed of http://welcome-to-zeds-thoughts.blogspot.co.uk/2013/01/liebster-award.html for nominating me for the Liebster Blog Award (for the 2nd time!) The award's purpose is given to blogs with less than 200 followers so you might get to know them better. 1. I have four cats- Wookie, Buhda, Masta and Jam. 7. I live in a multi-generational household. 8. I have a degree in Computer Science. 9. Robert Pattinson is my obsession. 1. What inspires you to write/blog? 2. What is the best way you have found to get followers? 3. Do you use other sites similar to Book Blogs and if so, what? 5. What genre do you read the most? 7. Who is your favorite actor? 9. When you get stuck creatively, what do you do to move past the rut? 11. Do you think the education system values reading enough? If the nominees decide to participate, please leave a comment with a link to your post. Wow you were born on the 4th of July :) in case u don't know, that's a holiday here in the U.S. I LOVE vampire diaries too!!! I will do a post on this in the next couple days. Thanks for replying Gemini. You want to live in a tree? That sounds awesome. Arianne, yes I knew about the holiday, and I'm so glad VD is back!